"I appreciate all of the time and effort that Dr. Tannen and all of the doctors at Eyecare Professionals to make the residency program rewarding and further enhancing my clinical and practice management knowledge. Thank you for a great year Dr. Tannen. I cannot believe the opportunities that you gave me to grow both professionally and personally at Eyecare. You put a lot of faith in me and I cannot thank you enough for sharing research projects with me, patient care and trusting me with referral sources. I am excited to start my career." 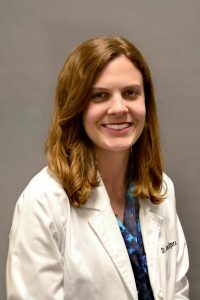 "I feel very lucky to have had the opportunity to complete my residency year with Eyecare Professionals. I feel more confident than ever in terms of my knowledge base, clinical abilities and practice management skills. Through my experience with patients of all ages in the vision therapy, ocular disease and primary care I am entering my first year of independent clinical practice with the certainty that I can provide exceptional care to my patients. "I am leaving here with new-found independence and confidence in my knowledge and abilities. I have learned so much about myself, and vision therapy of course. I will for the first time be able to “fake it ‘til I become.” And that process is already well underway, thanks to all of you. Although, when it comes to what I have learned here, I won’t have to fake anything. Last year I would have been apprehensive to attempt implementing vision therapy into another practice or starting my own. I am very confident now in what I have learned that I truly feel I have so much to share and contribute. 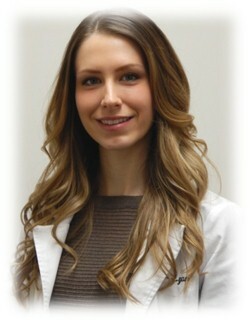 "I am very fortunate to have completed my residency at EyeCare Professionals, P.C. EyeCare Professionals has provided me with outstanding guidance and instruction and has fostered my growth as a young doctor. All of the doctors and staff believed in my ability to grow as a resident which provided me with the confidence to develop my own vision therapy practice. They have made a difference in my life and I am now able to incorporate the knowledge learned through my residency and enhance the lives of others.